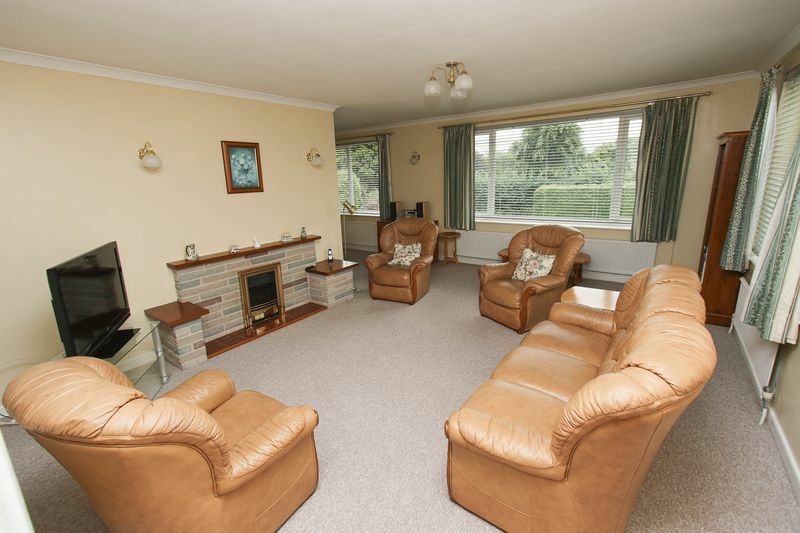 A substantial DETACHED BUNGALOW occupying a prime village position with Tickenham. The GARDENS are generous, there is a good drive and GARAGING. Ideal for those with motor homes, cars and visitors. 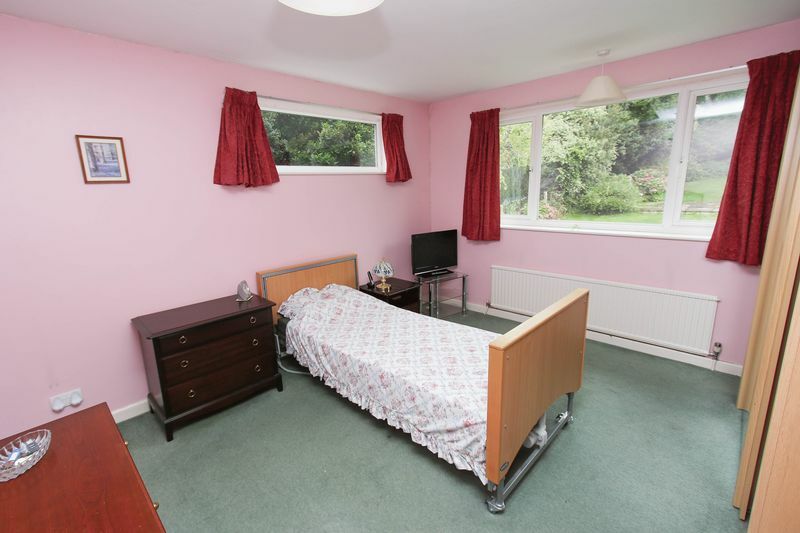 The accommodation is well planned and flows throughout. 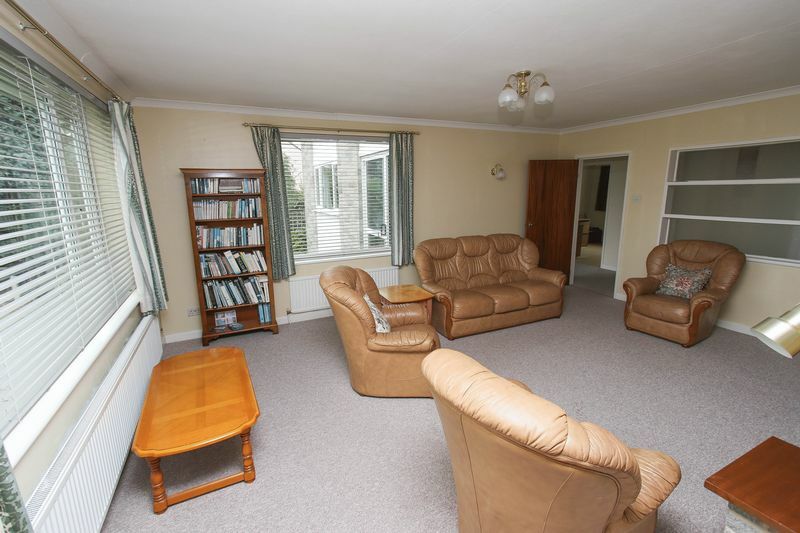 There are FOUR EXCELLENT BEDROOMS, a fabulous hallway which connects well with the living accommodation and both a separate bathroom and shower room. This is a property with few weaknesses. 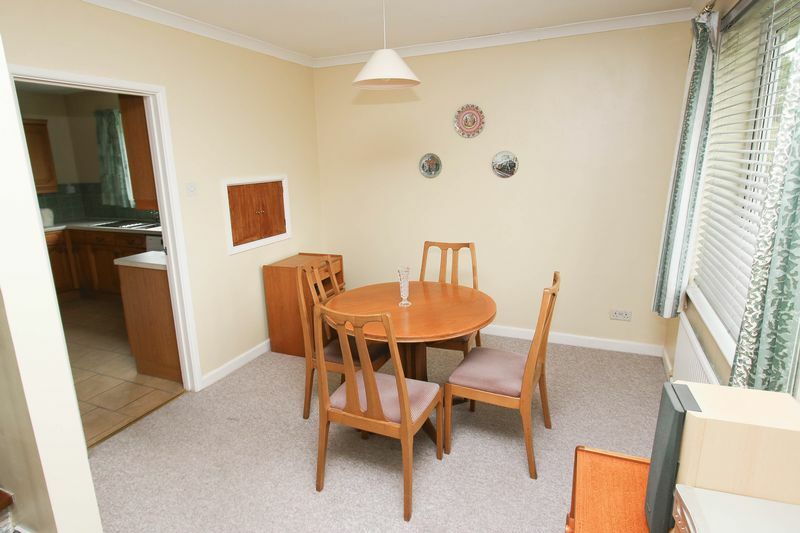 On your left is a useful storage cupboard whilst further into the hallway there is access to the airing cupboard with Vaillant gas fired central heating boiler. 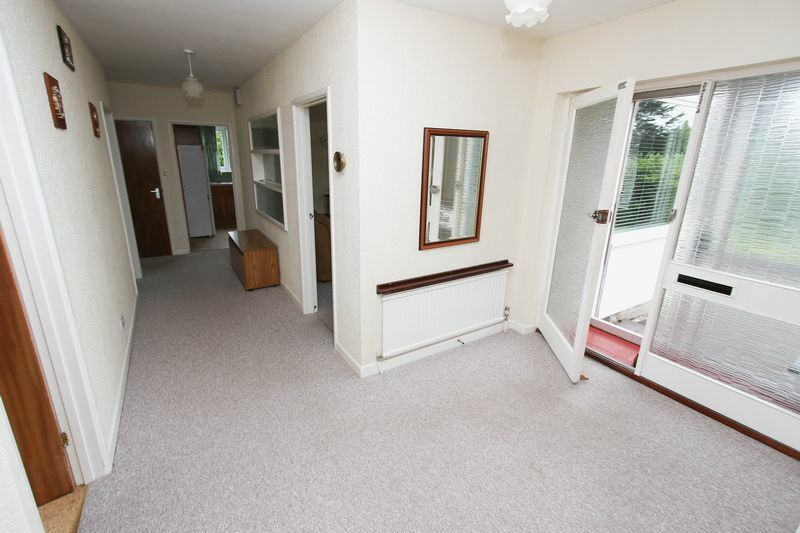 At the far end of the hallway there is a door immediately opening into the gardens and above there is access into the loft space with loft ladder. 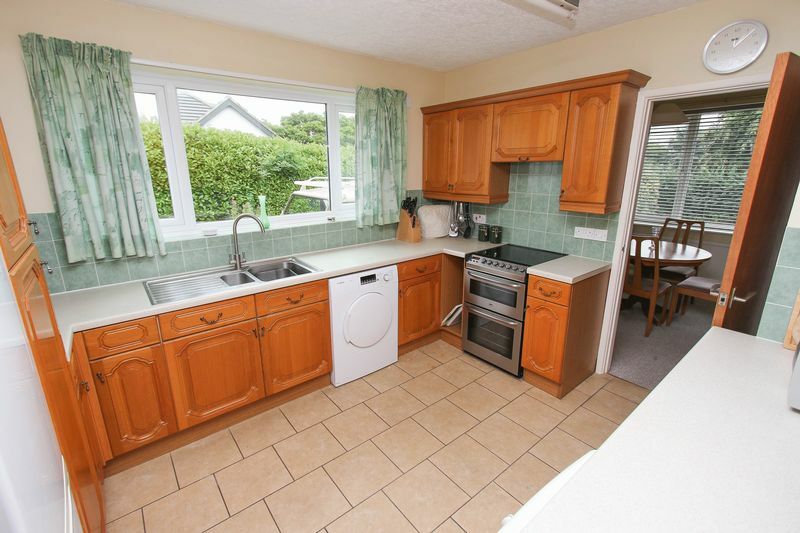 Fitted with a good range of oak fronted cupboard and drawer units with plumbing for washing machine and dishwasher, space for a tumble dryer, fridge/freezer and oven. There is also an extractor hood. From the one and half bowl sink unit there is a good aspect across the drive to the side garden. Attractive tiled floor. 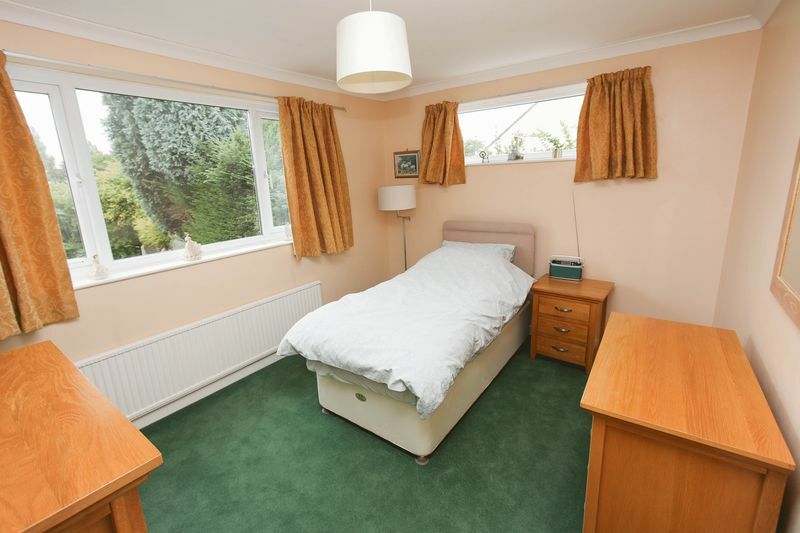 A generous room with two windows providing a great aspect of the main gardens. 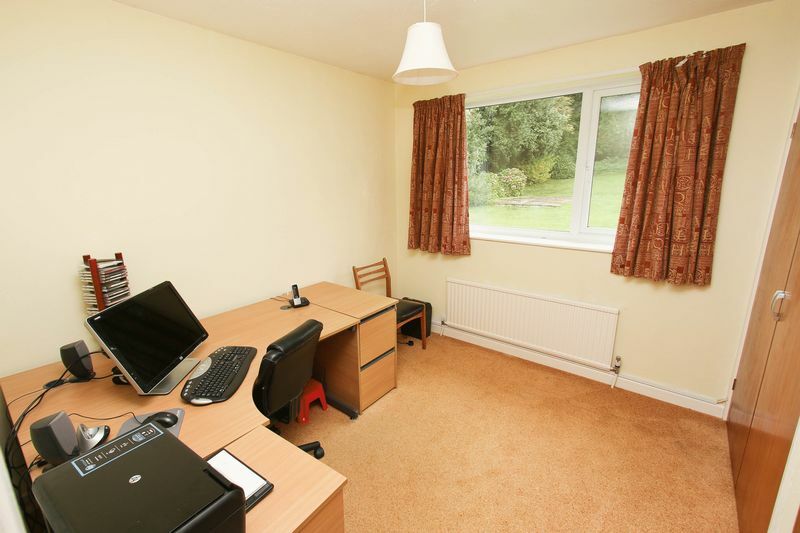 With a good view of the gardens, distant Mendip views and a built in double wardrobe. A good view of the main gardens. Built in double wardrobe. With a fine aspect of the main gardens. Built in wardrobe. 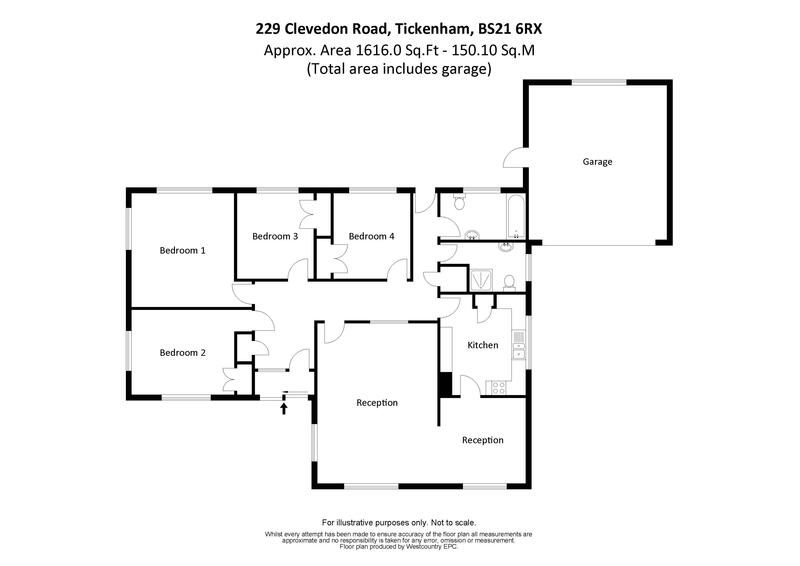 With suite comprising bath with shower above, pedestal washbasin and WC, heated towel rail, frosted window providing excellent natural light. Tiling to walls. 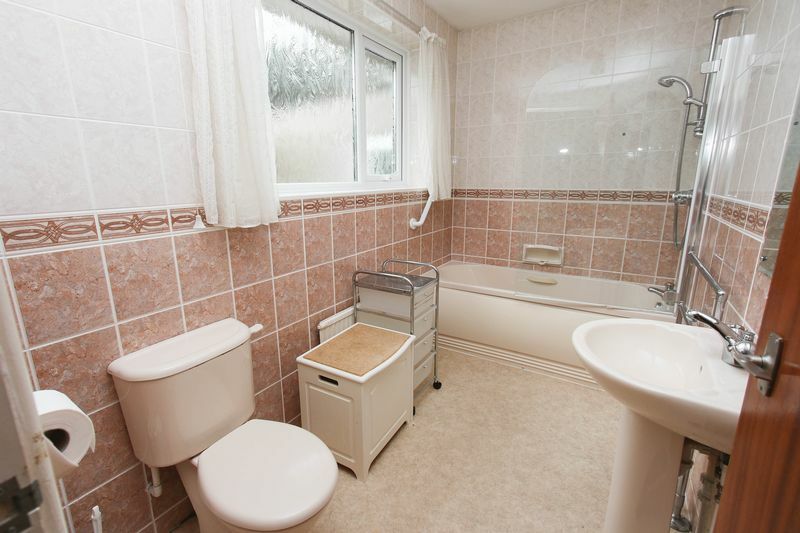 With suite comprising tiled shower, WC and pedestal washbasin. 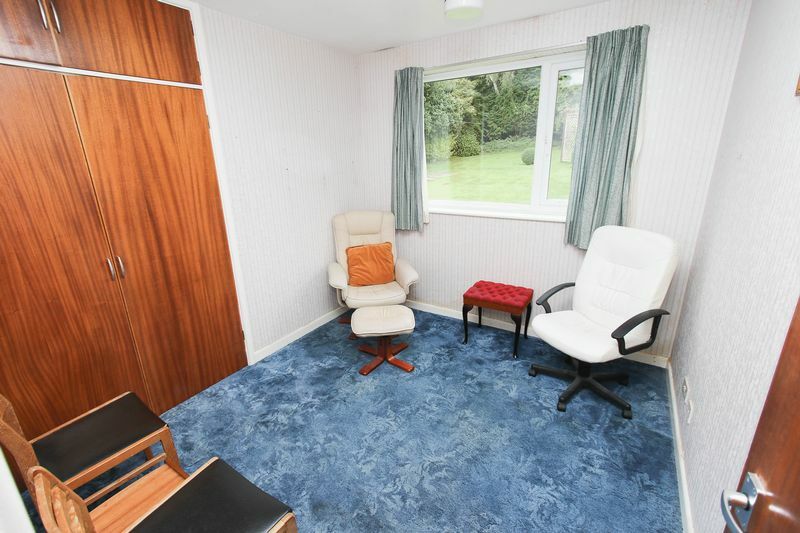 There is a heated towel rail. Frosted window providing natural light. 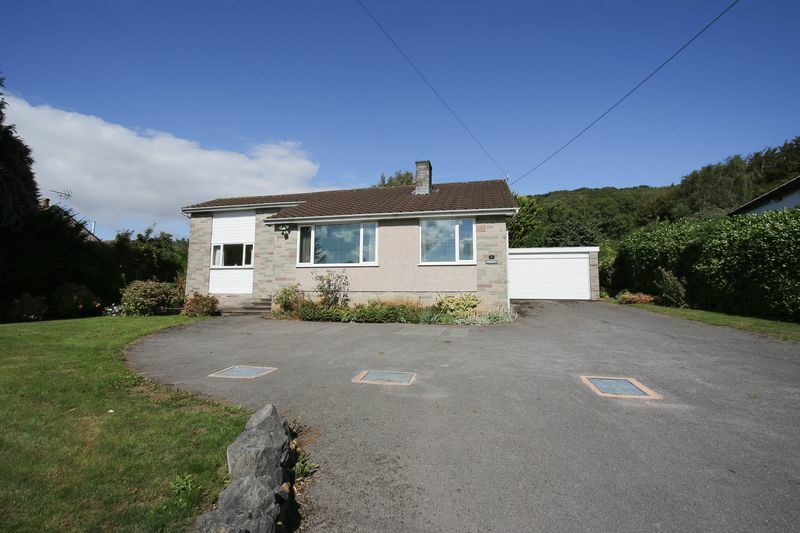 The generous driveway provides particularly good parking and may suit those with motor homes, caravans, etc. We estimate there to be parking for around 5 to 6 cars. The driveway in turn leads to the garage 18'0" x 16'0" with an electronically operated door. There is a cold water tap, a window providing light and a door which opens directly into the gardens. 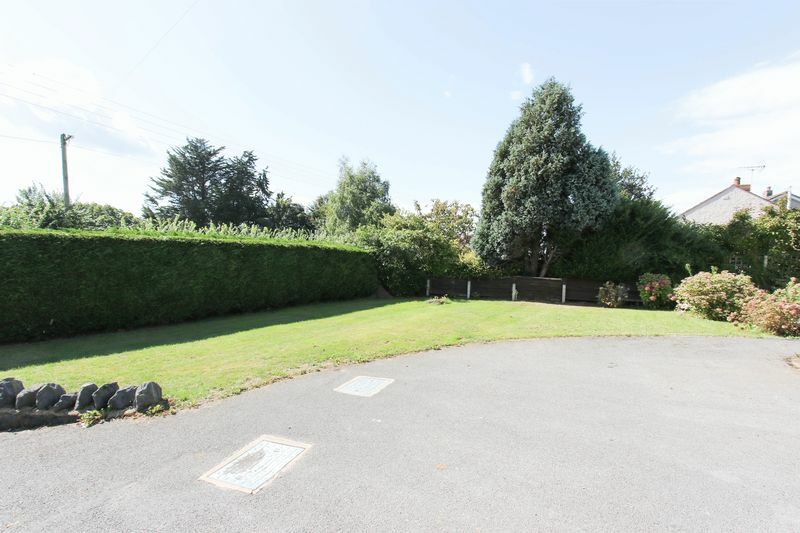 The front gardens comprise a curvaceous lawn concealed from the road by a mature hedge and enhanced by a series of shrubs and a border that flanks the front of the property. A side access leads to the main gardens located behind the house. 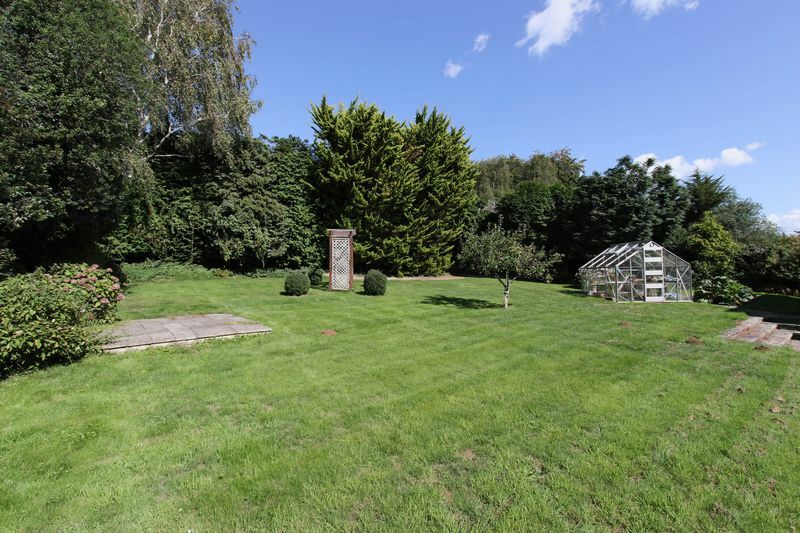 We estimate these gardens to be around 25 metres wide and 30 metres deep with a gently rolling lawn, a fine aluminium framed greenhouse and two paved patio areas. 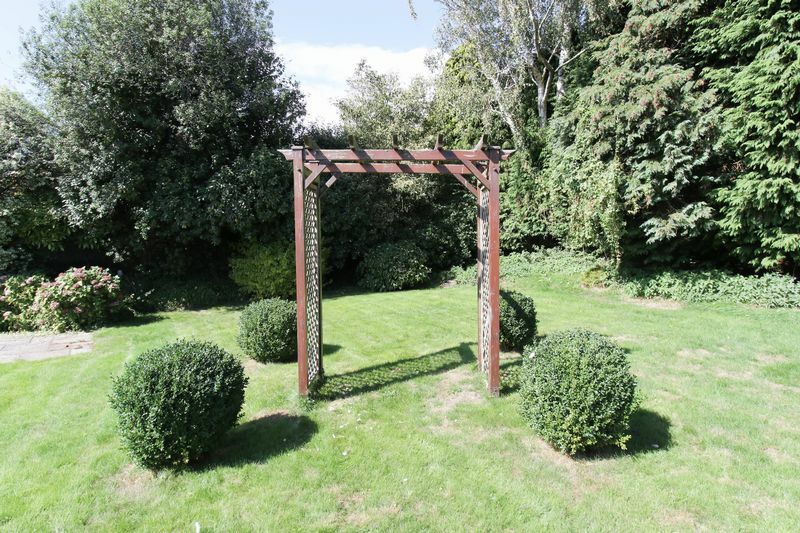 There is an established fruit tree and a pretty pergola with box hedges on either corner. 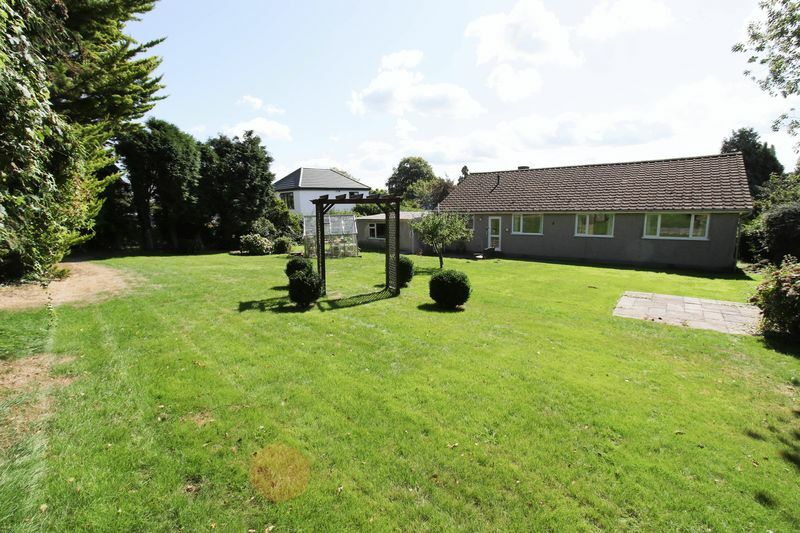 These are generous gardens that will not disappoint those looking for a little extra space. Services: Electricity, gas, water. 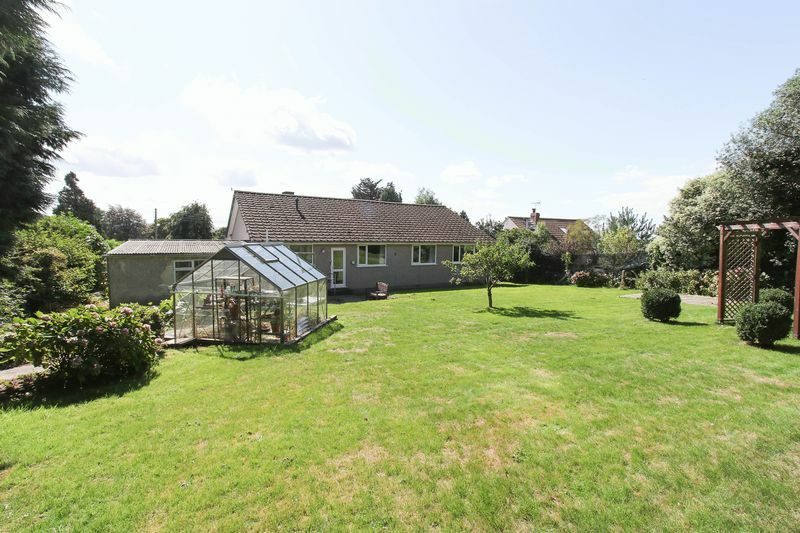 The property has a septic tank not connected to the mains.